We know that today's well-informed buyer considers service after the sale as important as price or brand name. Because we know how important it is to you to have a properly rigged and tested boat, we take extra time to lake test your new boat even before you take delivery. ​ Factory Trained Technicians. Some have been with the company for more than 20 years. Up to date technology in servicing EFI , Fuel Injection systems and Direct Injection Technology. 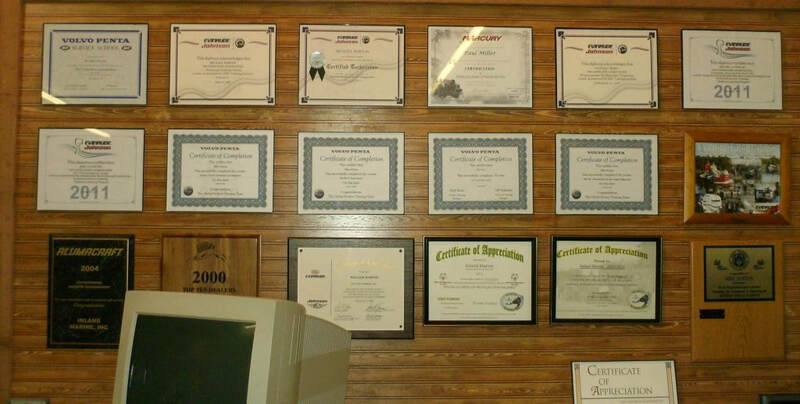 Computer technology is utilized in our parts and information management system to help us be more efficient for you. Guaranteed Service. We are committed to your satisfaction! Guaranteed Service with certified Technicians. Fully stocked parts and accessories for your boating needs.